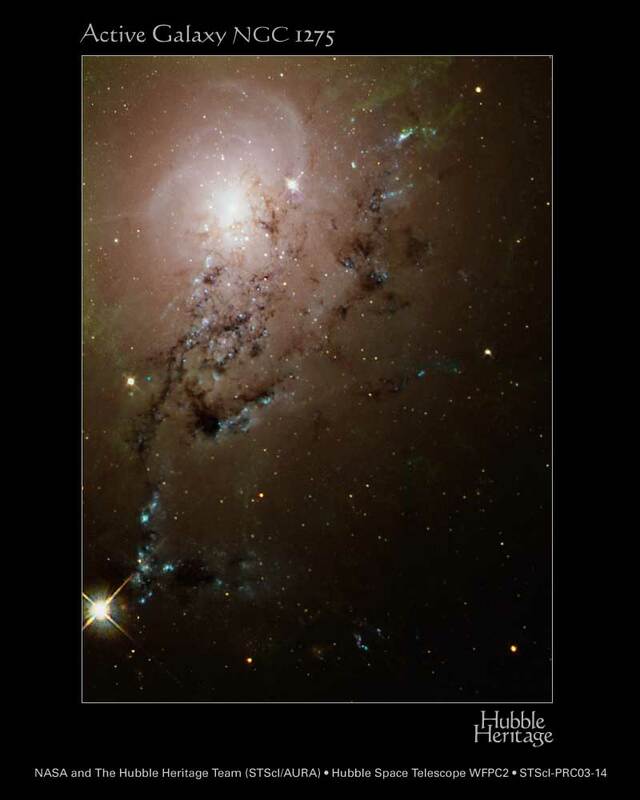 Explanation: In NGC 1275, one galaxy is slicing through another. The disk of the dusty spiral galaxy near the image center is cutting through a large elliptical galaxy, visible predominantly on the lower left. Galaxies can change significantly during a collision like this, with gravitational tides distorting each galaxy and gas clouds being compressed and lighting up with new star formation. Galaxy collisions occur in slow motion to the human eye, with a single pass taking as much as 100 million years. NGC 1275 is a member of the Perseus cluster of galaxies that lies about 230 million light years away toward the constellation of Perseus. 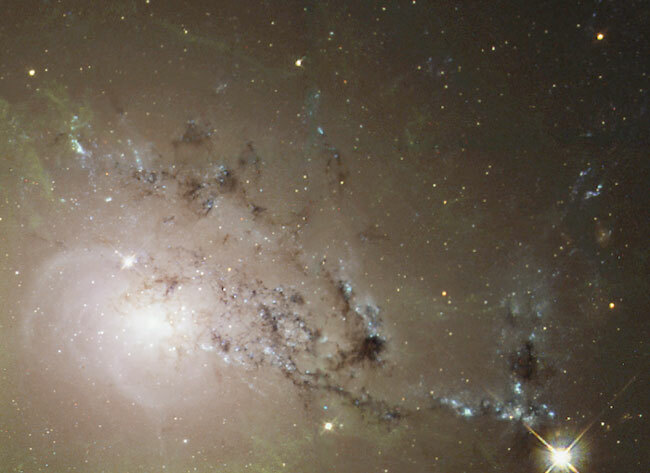 Each galaxy spans about 50,000 light years across. The above picture is a composite of images taken by the Hubble Space Telescope in 1995 and 2001.